Brilliantly colored botanical pattern. 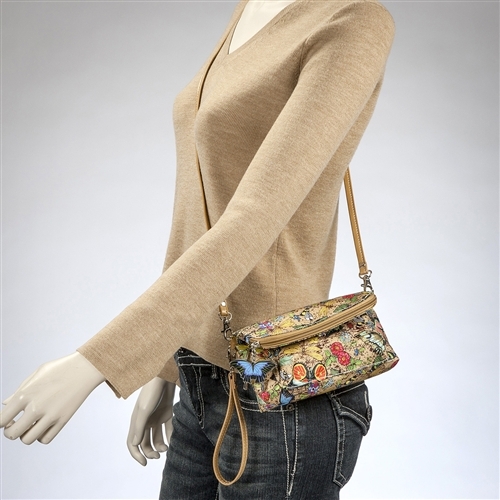 Soft, lightweight nylon fabric accented with beautiful leather-like tan trim. Top zipper closure accented with decorative butterfly enamel zipper pull. 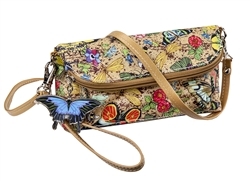 Zippered outer pouch perfect for holding your cell phone or other valuables. Fold-over design that can hold all of your essentials. 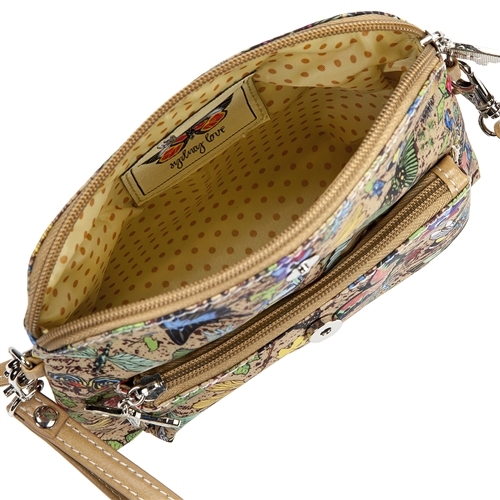 Detachable exterior wristlet handle and across body strap allows for dual wear.